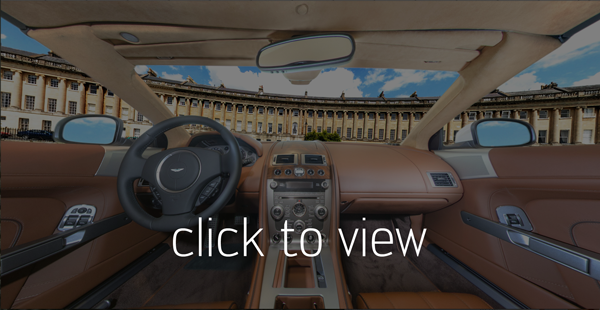 If 360 degree photography was not already difficult enough to do well, it is even more challenging inside a car! Small spaces present a big challenge, not just with stitching, but capturing the luxury and textures of such an amazing vehicle. Aston Martin really is the epiphany of understated quality. We used flash to create fill and backlighting to highlight all areas and balance the exposures to make the images look seamless.